The Heritage Room is the home or "museum" for the historical records and artifacts of our church. It is located adjacent to the chapel. The room can be seen by making arrangements through the church office. It is also open anytime there are tours of the church, such as at the Peach Festival and National Night Out. 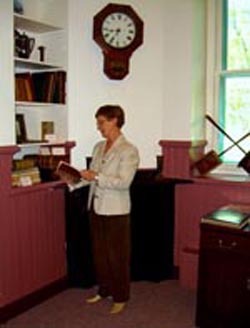 Nancy Ladd is our church historian.